There is an anti-aging product I have been using and must say it’s great. It comes from SkinCueticals and it’s so popular they sell out quickly. C E Ferulic is a revolutionary antioxidant combination that gives advanced environmental protection against photo aging by neutralizing free radicals that can accelerate the appearance of aging. Renee the rep here in Beverly Hills had my try it and I try a lot of products for my job and this one is a good Vitamin C and more. What’s great is that the addition of ferulic acid to 15% pure L-ascorbic acid (vitamin C) and 1% alpha tocopherol (vitamin E) and that doubles the protective power. Ferulic acid is a powerful ingredient. It has been found to act synergistically with other antioxidants and, renders vitamins C and E more powerful. A Duke University study found it especially good for preventing sun damage, and studies elsewhere have shown - get this - that exposure to ultraviolet light actually increases the antioxidant power of ferulic acid. 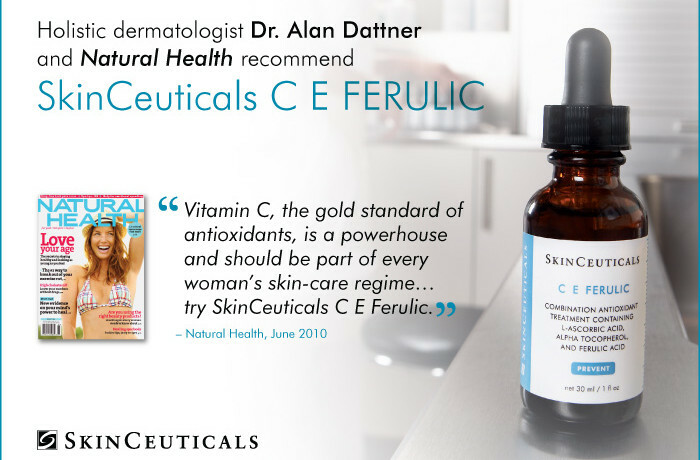 So what does this C E Ferulic do? Rep Renee Field in Los Angeles told me it does everything. So I had to try it. And she was right. Makes the skin feel great and technically - it provides advanced environmental protection against damaging free radicals, increases firmness and replenishes lipids to visibly reduce wrinkles. and once absorbed, the serum soaks into the skin because it can’t be washed off or rubbed off. It remains effective for a minimum of 72 hours. I love this stuff! My skin looks great.